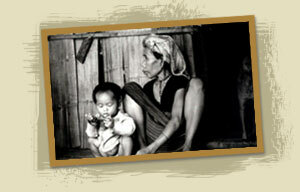 Trekking Collective, Ethical Travel, Authentic Experiences Chiang Mai, Thailand. Ethical Travel, Authentic Treks, Tours and Travel Company Since 1988. Chaiyan and Family welcome you to the many varied indigenous hill tribes and lowland cultures with stunning landscapes that still is the Ancient Lanna Kingdom. Based in the northern capital of Chiang Mai in 1988 as an independent Travel Local with Integrity.Trekking Collective noted as a pioneer in small scale ‘real’ experiences. Hiking within the Mountains,Forests and Communities. Secure your travel ideas with a visit to their in – town office! Where you will meet a guest’s favorite ‘Kung fu’ Po their Dog. If you are already in Chiang Mai please phone or call in last minute to book your own individual experiences for the next day! Quality one Day and Overnight Treks, Tours and Touring programs with options to suit every one’s interests. 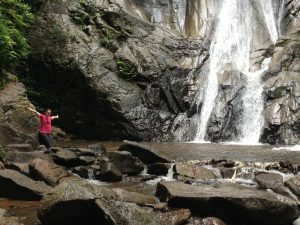 Exclusive trek programs from one to six days for the novice walker and the serious hiker with many tour itineraries ideal for the enjoyment of a generational family trip. Special interest and educational groups particularly ethno-cultural and ‘Local Wisdom’. Rare endemic orchid, montane birds and nocturnal animal watching trips plan well in advance to request one of the many one – off tailored programs. For health motivated travellers unique ‘ Farm and Foodies Tours’ and ‘Well Being’ options. All trips let you reach deeply into the essence of what is true and unique to Lanna, northern Thailand. Be in balance with the people on an cultural experiences high-lighted by traditional ‘Local Wisdom’ experiences and indigenous hill tribe religious celebrations with welcoming overnight family homestays in Wiang Haeng, Chiang Dao, Chai Prakan and Mae Suai Communities. Experience adventure trekking with a traditional journey by bamboo raft along scenic river routes, forest elephant trails with additional seasonal exciting white-water rafting. Bathe with elephants in their natural environment in the hills whilst on a trip to learn about their lives with their traditional Mahout keepers, learn of their past. present and future. Organic Rice planting and Coffee Harvesting excellent up close and personal experiences with all year round activities based around the farming calendar at local lowland family and indigenous community run farms ask Caroline for details! ***view their tour & trek menu CONTACT TODAY FOR AVAILABILITY BOOKING MUST BE MADE IN ADVANCE! minimum 30 days applicable seasonally Friends or Colleagues Special rates featured. Featured in “Perfect Holiday in Thailand” The Sunday Times, London. Published recommendations are in the latest www.tripadvisor.com search “Trekking Collective” www.google.com ; www.travel.yahoo.com etc. THE ROUGH GUIDE, EYEWITNESS TRAVEL GUIDE TO THAILAND, ELPAISAGUILAR, MICHELIN GUIDE, EXPLORING CHIANG MAI GUIDE. Featured in Adventure Travel Magazines. ‘travel’ Magazine- Sunday Times, London. 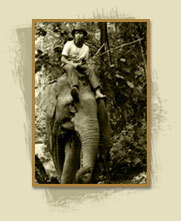 Official website ‘Mekong Responsible Tourism’, ACTION ASIA and ADAC REISEMAGAZIN. Asia Horizon’s latest ADVENTURE & ECOTOURISM GUIDE TO THAILAND. ©1988-2019 Images&Text TrekkingCollective All Rights Reserved.